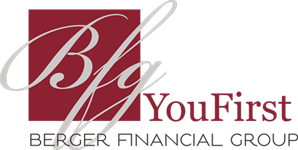 At Berger Financial Group, we recognize how vital a role income tax planning and preparation plays in the overall financial planning process. Founded as a tax planning firm, we quickly realized how important multi-year tax strategies are to the long-term success of wealth management strategies. Today, our in-house team of CPAs assist our clients with their year-round tax needs. Along with integrating investment and tax planning within our overall financial planning services, we also provide tax return preparation to the individuals and families we serve. Accurate and client-focused, our CPAs can assist with minimizing tax complexities while maximizing tax benefits. Our skilled staff of CPAs offers a full range of income tax preparation for individuals, businesses, trusts and estates. Whether you choose to take advantage of having all of your wealth needs attended to under one roof, or prefer to have us collaborate with your current, you can be confident that our team of professionals are ready to implement a customized strategy for you.